Ever since learning that Ross Miller, a professor of English and Comparative Literature at the University of Connecticut and the editor of Philip Roth’s work in the Library of America, is working on the official biography of Philip Roth, I have been waiting for it with great anticipation. I was hoping that it would be released in 2011, but unfortunately, this didn’t happen. 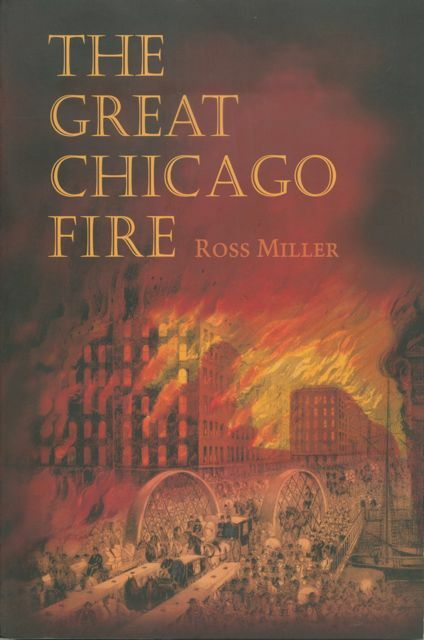 Since it doesn’t seem likely that it will appear soon, I’ve decided to console myself in the meantime with Miller’s The Great Chicago Fire (University of Illinois Press, 2000). Initially published in 1990 by the University of Chicago Press as American Apocalypse: The Great Fire and the Myth of Chicago, this book explores the myth building that surrounded the fire that destroyed Chicago in October 1871 and the rebuilding of the city. This entry was posted in Philip Roth, Ross Miller and tagged biography, Chicago, Great Chicago Fire, Philip Roth, Ross Miller. Bookmark the permalink.